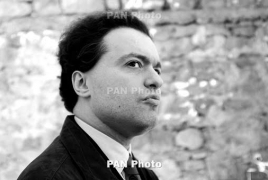 PanARMENIAN.Net - The Yerevan Perspectives International Music Festival will conclude with the performance of world famous pianist Evgeny Kissin on December 27. Dubbed the biggest cultural event in classical music domain, the concert will take place at Yerevan's Opera House and is held under the auspices of president Serzh Sargsyan. Kissin is one of the greatest friends of Armenia and has gone to great lengths to support the recognition and condemnation of the Genocide. In an interview with the New York Times, the legendary musician said he would not perform in Turkey until its government acknowledges that the mass murder of Armenians in 1915 was Genocide. On May 26, 2016, Kissin gave a special concert at Carnegie Hall titled “With You, Armenia: A Concert to Commemorate the Centennial of the Armenian Genocide.” Sponsored by the Yerevan Perspectives International Music Festival, the event was part of an international tour featuring the impressive Hover State Chamber Choir, founded by Sona Hovhannisyan, who conducted the impressive 25-voice ensemble in the rewarding first half of the program. There were arrangements of Armenian folk songs and liturgical works, several contemporary selections, a Britten carol and the world premiere of a choral setting of Psalm 3 by the Polish composer Krzysztof Penderecki composed in remembrance of the Genocide.